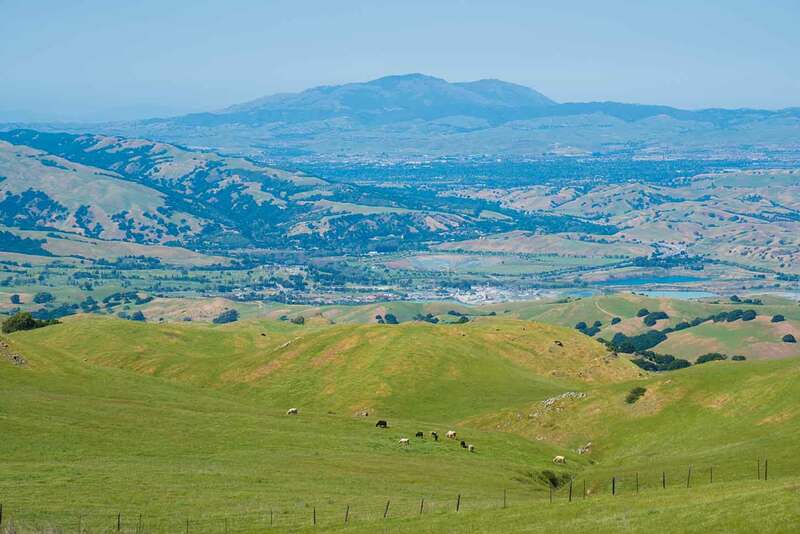 Seen from the suburbs of Fremont, Mission Peak with its distinctive pyramid-shaped cap looks treeless and barren — not an especially inviting place to go hiking. But visit the park on a nice day and it becomes clear why it’s one of the most popular places to go hiking in the Bay Area. 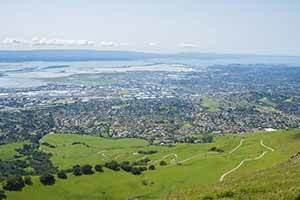 The sunny, invigorating hike to the peak is relatively short, yet it offers a great workout and superb views over the South Bay region. Exploring off the main trail reveals surprising little pockets of woodland that offer refreshing breaks from the roasting sunshine, and even little creeks that miraculously flow even in summer. Mission Peak does, however, get hot. 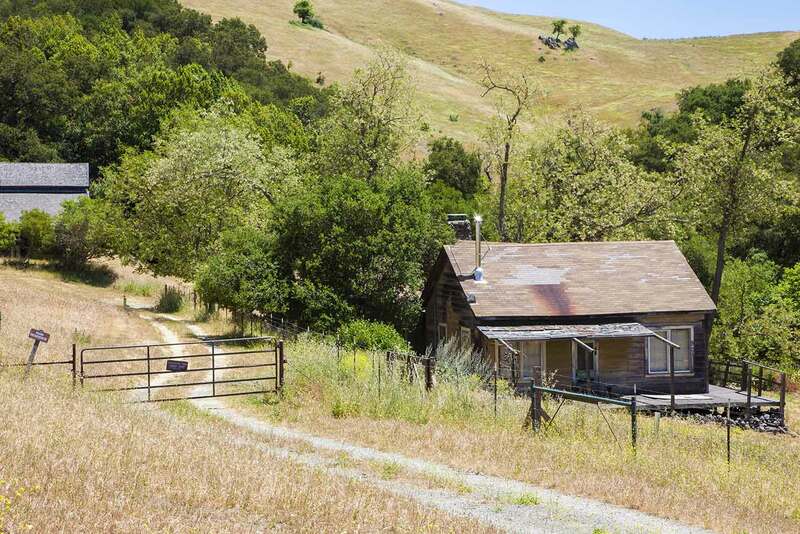 Even though Fremont is one of the cooler cities in the area, on summer afternoons the west-facing slope of Mission Peak catches the sun and turns into a furnace, becoming much hotter than the city itself. I find it too hot to hike if the forecast high is above 85 degrees. 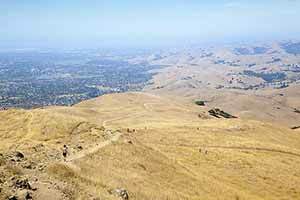 The Horse Heaven route to Mission Peak is the quieter backcountry alternative to the Hidden Valley Trail. Most people avoid it because it’s a lot steeper, but it’s also a lot more scenic. 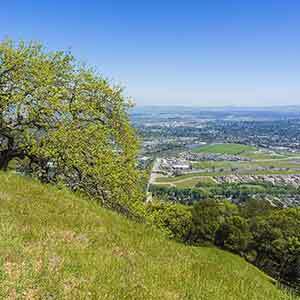 This climb up the west side of the peak is one of the most popular trails in the entire Bay Area. It offers great views, lots of sunshine, and an invigorating workout. 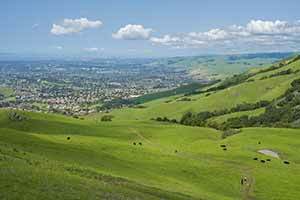 The northern route to Mission Peak starts in Ohlone College. It’s not as scenic as the other routes, but parking is much easier. Fremont doesn’t look very interesting if you just drive through it, but, much like Berkeley, it turns out to have an exceptional concentration of independent restaurants and bakeries. Amia Bakery is a pretty good Fremont bakery.